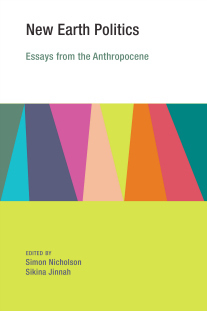 Publisher abstract: in this volume, prominent scholars and practitioners in the field of global environmental politics consider the ecological and political realities of life on the new earth, and probe the field’s deepest and most enduring questions at a time of increasing environmental stress. Read more. Publisher abstract: neoliberalism has been the reigning ideology of our era. For the past four decades, almost every real-world event of any consequence has been traced to the supposedly omnipresent influence of neoliberalism. 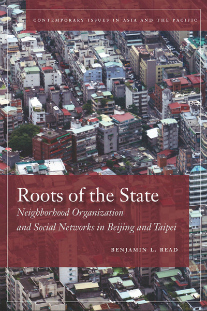 Instead, this book argues that states across the world have actually grown in scope and reach. Read more. 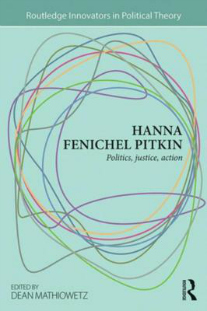 Publisher abstract: Hanna Fenichel Pitkin has made key contributions to the field of political philosophy, pushing forward and clarifying the ways that political theorists think about action as the exercise of political freedom. In so doing, she has offered insightful studies of the problems of modern politics that theorists are called to address, and has addressed them herself in a range of theoretical genres. Read more. 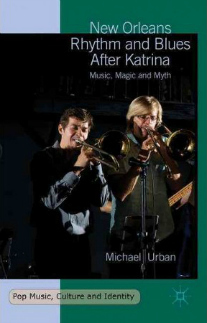 Publisher abstract: on the basis of 56 open-ended interviews with those in the city's musical community, Michael Urban discovers that, indeed, community is what it is all about. In their own words, informants explain that commercial concerns are eclipsed by the pleasure of playing in 'one big band' that disassembles daily into smaller performing units whose rosters are fluid, such that, over time, 'everybody plays with everybody'. Read more. 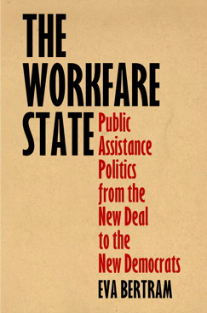 Publisher abstract: in The Workfare State, Eva Bertram recounts the compelling history of the evolving social contract from the New Deal to the present to show how a need-based entitlement was replaced with a work-conditioned safety net, heightening the economic vulnerability of many poor families. Read more. Publisher abstract: field research - leaving one's home institution in order to acquire data, information or insights that significantly inform one's research - remains indispensable, even in a digitally networked era. 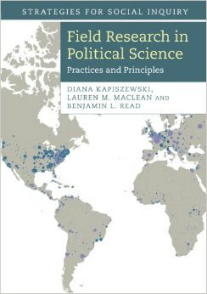 This book, the first of its kind in political science, reconsiders the design and execution of field research and explores its role in producing knowledge. Read more. 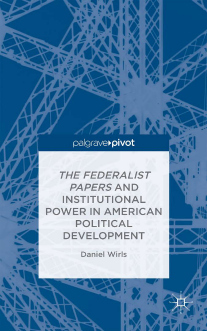 Publisher abstract: this book reconnects The Federalist Papers to the study of American politics and political development, arguing that the papers contain previously unrecognized theory of institutional power, a theory that enlarges and refines the contribution of the papers to political theory, but also reconnects the papers to the study of American politics. Read more. 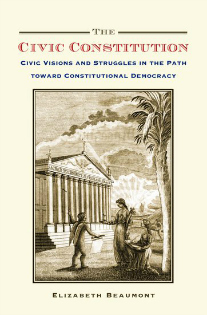 Publisher abstract: the role of the Constitution in American political history is contentious not simply because of battles over meaning. Equally important is precisely who participated in contests over meaning. Was it simply judges, or did legislatures have a strong say? And what about the public's role in effecting constitutional change? Read more. Publisher abstract: secretariats—the administrative arms of international treaties—-would seem simply to do the bidding of member states. And yet, Sikina Jinnah argues in Post-Treaty Politics, secretariats can play an important role in world politics. Read more. 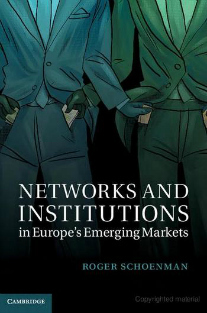 Publisher abstract: do ties between political parties and businesses harm or benefit the development of market institutions? 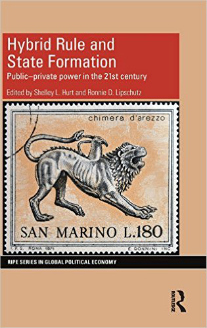 The post-communist transition offers an unparalleled opportunity to explore when and how networks linking the polity and the economy support the development of functional institutions. Read more. 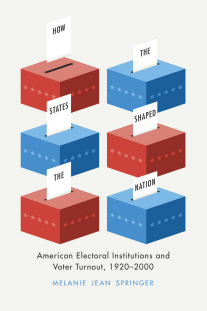 Publisher abstract: the United States routinely has one of the lowest voter turnout rates of any developed democracy in the world. That rate is also among the most internally diverse, since the federal structure allows state-level variations in voting institutions that have had—and continue to have—sizable local effects. Read more. Publisher abstract: how do a legal order and the rule of law develop in a war-torn state? 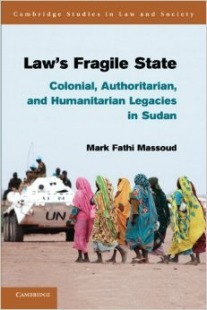 Using his field research in Sudan, Massoud uncovers how colonial administrators, postcolonial governments and international aid agencies have used legal tools and resources to promote stability and their own visions of the rule of law amid political violence and war in Sudan. Read more. Publisher abstract: most social science studies of local organizations tend to focus on "civil society" associations, voluntary associations independent from state control, whereas government-sponsored organizations tend to be theorized in totalitarian terms as "mass organizations" or manifestations of state corporatism. Read more. Publisher abstract: the writings of a small group of scholars known as the ilustrados are often credited for providing intellectual grounding for the Philippine Revolution of 1896. 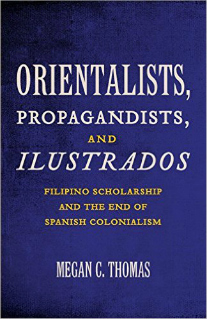 Megan C. Thomas shows that the ilustrados’ anticolonial project of defining and constructing the “Filipino” involved Orientalist and racialist discourses that are usually ascribed to colonial projects, not anticolonial ones. Read more. Publisher abstract: it has become a commonplace assumption in modern political debate that white and rural working- and middle-class citizens in the United States who have been rallied by Republicans in the “culture wars” to vote Republican have been voting “against their interests.” But what, exactly, are these “interests” that these voters are supposed to have been voting against? Read more. 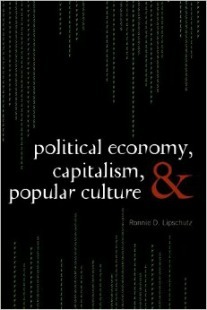 Publisher abstract: what does The Dark Knight have to do with political economy or Lord of the Flies with capitalism? A great deal, argues Ronnie D. Lipschutz in this entertaining and enlightening guide to basic concepts and practices in capitalism, neoclassical economics, and political economy. As he convincingly illustrates, film and fiction occupy a dual role in today's economy. Read more. 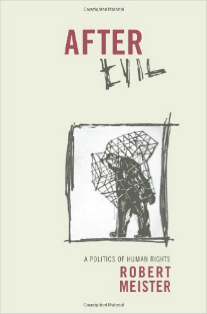 Publisher abstract: the way in which mainstream human rights discourse speaks of such evils as the Holocaust, slavery, or apartheid puts them solidly in the past. Its elaborate techniques of "transitional" justice encourage future generations to move forward by creating a false assumption of closure, enabling those who are guilty to elude responsibility. Read more. 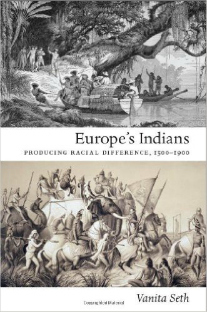 Publisher abstract: Europe’s Indians forces a rethinking of key assumptions regarding difference—particularly racial difference—and its centrality to contemporary social and political theory. 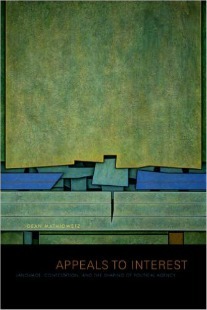 Tracing shifts in European representations of two different colonial spaces, the New World and India, from the late fifteenth century through the late nineteenth, Vanita Seth demonstrates that the classification of humans into racial categories or binaries of self–other is a product of modernity. Read more. Publisher abstract: in Russian politics reliable information is scarce, formal relations are of relatively little significance, and things are seldom what they seem. 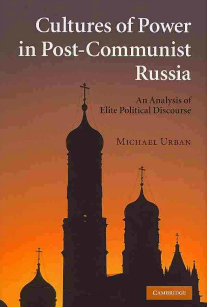 Applying an original theory of political language to narratives taken from interviews with 34 of Russia's leading political figures, Michael Urban explores the ways in which political actors construct themselves with words. Read more. Publisher abstract: the end of the Cold War was supposed to bring a "peace dividend" and the opportunity to redirect military policy in the United States. 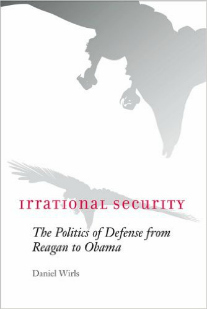 Instead, according to Daniel Wirls, American politics following the Cold War produced dysfunctional defense policies that were exacerbated by the war on terror. Read more. 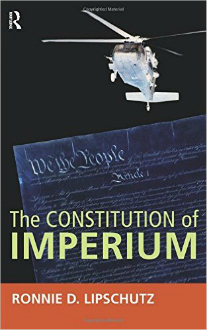 Publisher abstract: the title of this book is a play upon several important concepts and forces in the ongoing debate about American empire. Since September 11, 2001, the Bush administration and its counsels in the U.S. Department of Justice have been both constituting an empire of American hegemony and, in so doing, violating the spirit and the law of the American Constitution at home and abroad. Read more. 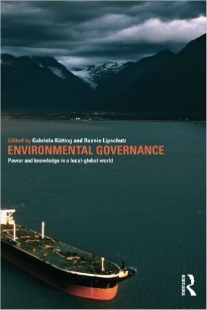 Publisher abstract: this edited collection makes a highly significant critical contribution to the field of environmental politics. 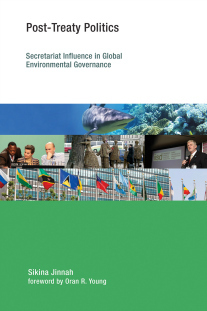 It argues that the international-level, institutionalist approach to global environmental politics has run its course, employed solely by powerful actors in order to orchestrate and manipulate local communities within a continuing hegemonic system. Read more. 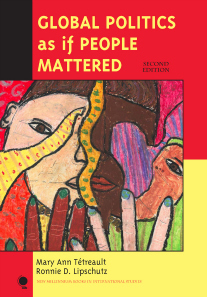 Publisher abstract: what would international relations look like if our theories and analyses began with individuals, families, and communities instead of executives, nation-states, and militaries? After all, it is people who make up cities, states, and corporations, and it is their beliefs and behaviors that explain why some parts of the world seem so peaceful while others appear so violent, why some societies are so rich while others are so poor. Read more. Publisher abstract: branding is ubiquitous, yet its workings in politics are still untheorized. 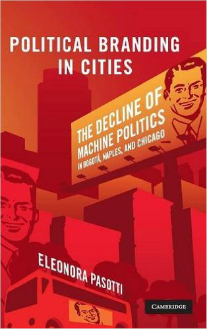 Drawing on the experiences of three cities on three continents, Eleonora Pasotti fills the gap by showing how cities suffering for decades from poor government, entrenched patronage, lack of development, and social conflict made a transition to a new form of governance: brand politics. Read more. 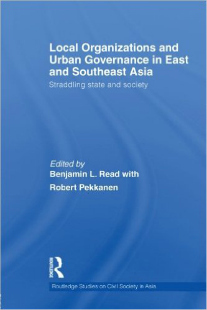 Publisher abstract: this edited collection brings together enterprising pieces of new research on the many forms of organization in East and Southeast Asia that are sponsored or mandated by government, but engage widespread participation at the grassroots level. Straddling the state-society divide, these organizations play important roles in society and politics, yet remain only dimly understood. Read more.